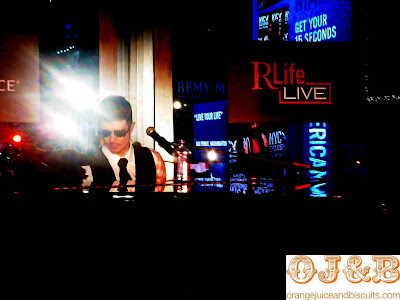 R Life Live With Robin Thicke, Samantha Ronson and Solange Knowles! 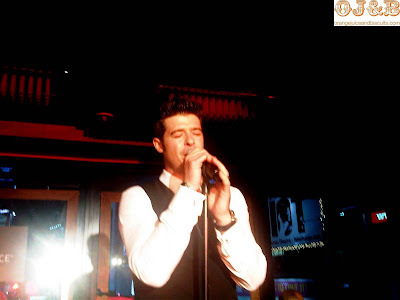 I was really impressed with the way Robin Thicke captivated and the crowd and had all of the ladies melting. You can tell that he really loves performing and his voice was on point. He was even singing into people's cameras and before he left the stage he took a sip from my friend and fellow blogger Makeda of Glamazon Diaries' wine glass. It was he highlight of her night for sure! It is always awesome to see and meet celebrities and artists that are down to earth and cool. 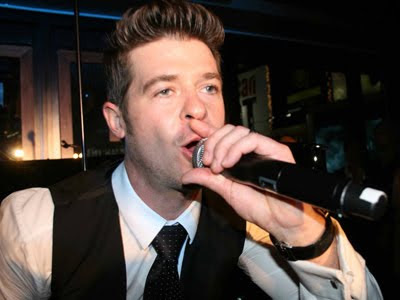 Above: Robin Thicke belts it for the crowd. Below: Robin plays the piano with Times Square as his backdrop. I told him he did awesome and he grabbed my shoulder and said a very sincere thank you. It was awesome to see that he truly appreciates doing what he does. Kourtney Kardashian and her Boo and baby daddy Scott Disick were there enjoying Robin's performances and Solange Knowles and Samantha Ronson got down in the DJ Booth before and after Robin's set. Rapper David Banner and former Guns N'Roses guitar player Slash both popped in for a bit as well. 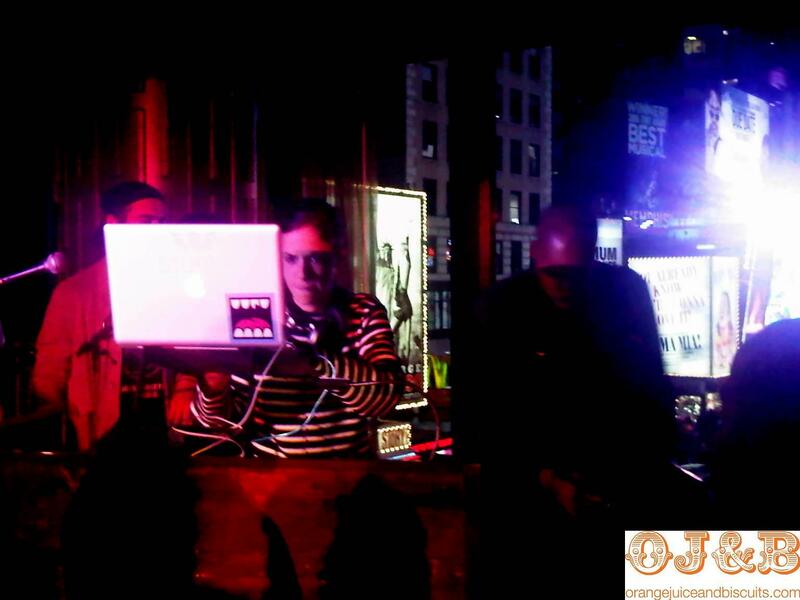 Above: Samantha Ronson is a crazy amazing DJ! I had chance to tell her how awesome I thought she was and how I think her family rocks. Basically I want her to DJ my life. The best part of the night for me had to have been when another amazing DJ, Solange Knowles, told me that she had been watching me dance all night and that she loved me!! That is a true story that I will always remember. It means a lot to me because I love amazing DJ's and I LOVE LOVE LOVE dancing! Plus we all know that she has seen some of the best dance moves ever coming from her sis. 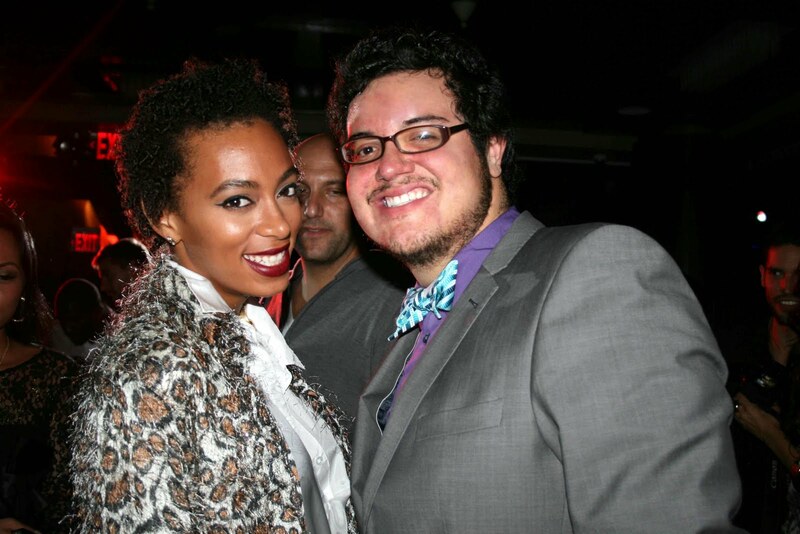 Above: One of the coolest people that I have had the chance to meet Solange Knowles. I first met Solange in the Hamptons when she was getting people crunk as the DJ for a SWAGG Mobile event. (Remember she told me she liked my outfit)? Basically we love each other and will be bff's soon. I could ALWAYS use another fierce friend. Congrats to The Renassaince Hotel on launching the R Life Live concert series. The space is beyond beautiful and the staff was extremely nice! At one point the entire bar staff was behind the bar dancing and having a great time. 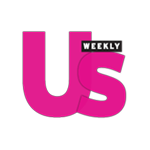 That definitely adds to the vibe when the staff is awesome and can have fun while still staying on top of things! It was a perfect NYC event and night!